B. Thomas (Arlington, Texas, United States) on 19 July 2017 in Animal & Insect and Portfolio. 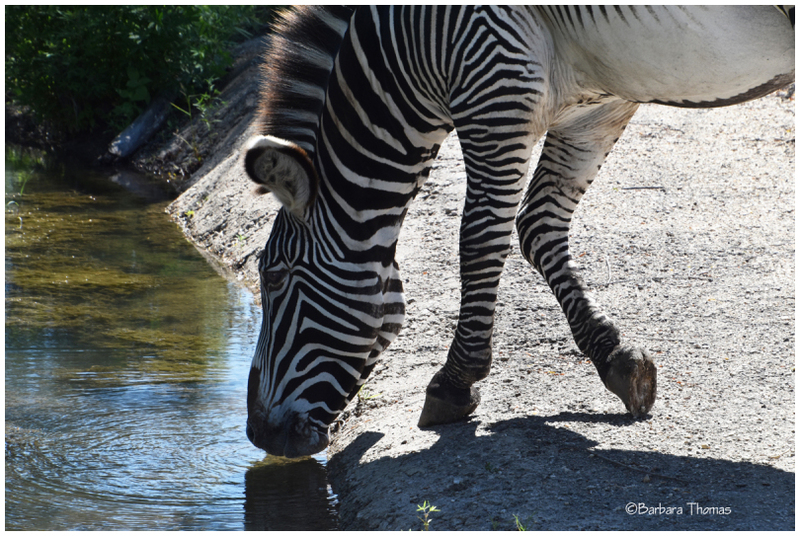 Grevy's zebras have big heads and large rounded ears. Their coats have dazzling narrow stripes that wrap around each other in a concentric pattern and are bisected by a black stripe running down the spine. They grow up to nine feet long, weigh up to 990 pounds, and stand up to almost five and a half feet at the shoulder. The Grévy's zebra, also known as the imperial zebra, is the largest and most threatened of the three species of zebra, the other two being the plains zebra and the mountain zebra. Historically, the Grevy’s zebra inhabited the semiarid scrublands and plains of Somalia, Ethiopia, Eritrea, Djibouti, and Kenya in East Africa. However, due to rapid declines in their population, they are now confined to the Horn of Africa, primarily Southern Ethiopia and Northern Kenya. Great animal. It is a pity that their habitats are threatened by habitation and even wars. wow what a great focus.. I hope they multiply and spread all over the world ! Alarmed at reading what you have written here ! Nice scene, Nature is wonderful. Nice capture of the rare animal. I love this. It is precious! A wonderful capture of this drinking moment. I like the choice you made to include parts of the zebra, but not everything. The tight framing has even convinced me that you were in Africa!! Great close-up moment captured here!! Thank you for the explanation of the three species of zebras. A beautiful creature. It's good they are being preserved.